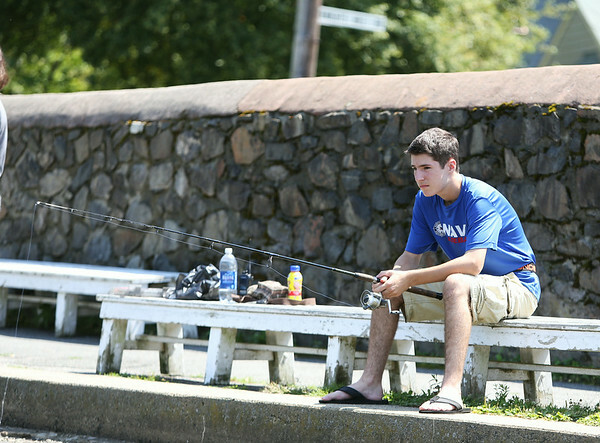 Tyler Merullo, of Marblehead, waits patiently while fishing at Redd's Pond in Marblehead on Monday afternoon. DAVID LE/Staff photo. 7/28/14.